Don't Forget The Contango: Why Oil Prices May Fall Sharply! For a while now, oil majors and seasoned traders, banks, hedge funds, pension funds and speculators with access to cheap credit have been scanning the horizon of wider macroeconomic data for signs of a turnaround in the global economy that could support flagging fuel demand. Alas, no such luck has been forthcoming. Things are just not that demanding! Many times in recent months market players have got carried away by a sea of macro- and micro- economic data and have lost focus of the underlying supply and demand curves. The recent oil reports suggest that demand for oil and gasoline isn't that strong. Oil prices are likely to come under pressure because there is ample energy supply yet weak demand continues to persist. The ocean continues to be the world’s biggest oil storage facility. Oil tankers floating around the world are currently holding an estimated 100+ million barrels of oil products, most of which are distillate fuels like diesel and heating oil. 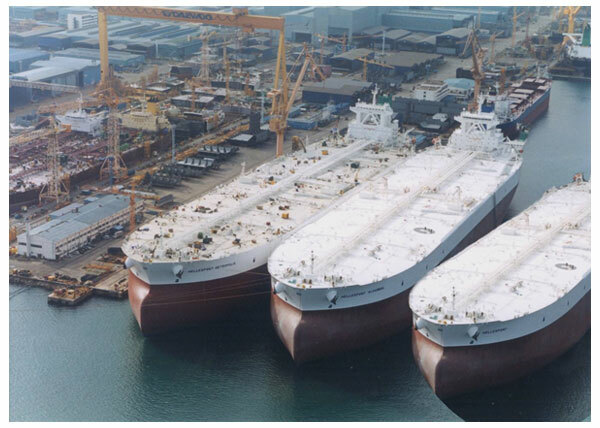 Crude oil volumes in floating storage are estimated at around 35+ million barrels. What is Contango? It means that a commodity like oil will sell for more in the future than it would at the current 'spot' price. This trend usually occurs when there is oversupply of a particular product. There is currently a steep contango in the crude and heating oil markets due to the record high inventories of oil and distillate fuels at sea and land. Oil players and speculators with access to cheap credit are buying gas and oil, storing it on idle tankers in sheltered parts of the English Channel, Singapore and the Mediterranean sea and selling it at a higher price later. Take one example: Near Southwold in England there is a fleet of nearly 40 oil tankers, each with hundreds of thousands of barrels of crude oil and distillates, that have anchored several miles off the southeast English coast in recent months. The heavy traffic stems from a near-record excess oil supply, a by-product of the recession, that is prompting producers to store oil offshore until they can find customers. The price premium of oil contracts dated further in the future relative to near-term contracts has made it profitable to buy crude, store it on a tanker for several months in places such as Southwold around the globe, and sell it later at a healthy return. The contango has been heightened by market players buying oil contracts far into the future, in a bet that supply won't keep up with emerging-market demand further down the road because of political or OPEC cartel barriers that could restrict production. Buying for storage at sea, dubbed 'floating storage demand' by physical traders, creates the illusion of consumption in the products market, and keeps profit margins for distillates positive. This in turn sends a false signal to refiners to keep churning out refined product! Crude oil prices have begun tumbling after the release of US inventory data that showed crude and gasoline inventories jumped as the weak economy continued to batter demand. The US DoE's Energy Information Administration (EIA) reported crude oil stockpiles increased by 2.1 million barrels -- excluding those in the Strategic Petroleum Reserve -- more than twice the average analyst forecast of an 800,000 barrel rise even as oil imports sank to the lowest point since the fourth quarter of 1990! What is more shocking is that gasoline stocks also jumped by 4 million barrels, compared with the average forecast for a 700,000 barrel increase. This shows that drivers are cutting back as economic times are tough with rising unemployment and employment uncertainty. Refiners are reeling from the effects of a low-demand, high-supply market as relatively high crude prices and low demand for refined products have cut deeply into their profit margins, leading to refinery shutdowns and worker layoffs. On November 20th, Valero, the largest refiner in the US, announced plans to shut down its Delaware refinery and lay off 550 workers. Despite this, the US Department of Energy's EIA reports that the amount of capacity US refineries used in the last week declined 0.6% to 79.7%, when the market had expected the utilisation rate to rise to 80.6%. The refinery utilisation rate is significantly depressed compared with similar periods in previous years, when it has usually run in the range of 85% to 89% of capacity. US is still the world's largest energy consumer and the latest data seems to suggest that the US economy is weakening somewhat more than previously projected. Rising oil and gas stockpiles in the US point toward mediocre demand and an indication that parts of the US economy may not be recovering as fast as initially hoped. Rising inventories and lower activity in refineries are pointing to depressed demand for fuel in the US, which may be a reflection of recent signs of weakness in US manufacturing and services. The US Institute for Supply Management reported that its index of manufacturing activity declined in November to 53.6 from 55.7 and the services index shrank to 48.7 from 50.6. The rising inventories put a check on a recovery in oil prices as fears of wider economic problems from the restructuring of Dubai-type debts gain momentum in the weeks ahead. Unless there is a demand pick up in fuel consumption in the near future, it would be fair to conclude that these numbers indicate the US economy has hit a plateau and runs a real risk of contracting again. Abrupt End of The Contango? Oil players and speculators with access to cheap credit expect demand for oil to pick up sometime in 2010 on the basis of a full fledged global economic recovery. At this point they hope to make a lot of money via their contangos. However, the amount of oil currently stored at sea is so massive that it could meet all of next year’s expected demand growth, leaving onshore stockpiles untouched. The oil players and speculators' bets are stacked in favour of global oil demand returning to significant growth next year after declining over the past two years. As that happens they hope, oil-laden ships will probably stop idling offshore and begin emptying their tanks at ports. However, if consumers don't absorb all the excess oil as recent data suggests, the result will be further increases in supply at already-saturated onshore and offshore storage facilities, and thus, much weaker oil prices that could fall dramatically in a short space of time. The offshore storage build-up has created a major risk of a very sharp price correction, unless an adjustment in forward demand is made for a colossal amount of oil sitting idle at anchor!